Fasteners, Chain, Steel Cable, Hinges, Gaskets | Repair Management Nederland B.V.
We can provide you with all kind of fastening materials like bolts, nuts, rivets, threaded rots, eye bolts, self tapping screws, self-drilling screws, washers etc. Products are available in many different materials, like steel, stainless steel, brass, nylon, aluminium, precision foils made of copper or stainless steel etc. Also many surface threatments are available such as, zinc plated, hot dipped zinc, passivated, Stainless steel 304 (A2) and 316 (A4) etc. 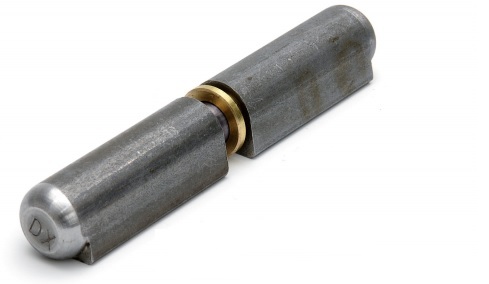 Bolt qualities such as 8.8, 10,9 12,9 etc can be supplied. All according to DIN or ISO in metric sizes, metric fine, UNC, BSF, BSW etc. All kind of assortment boxes with fasteners are available. Sorted in a blue metal sheet box. Easy to refill. We offer a complete range with Eye Bolts DIN 444B, Toggle Nuts DIN 80701 and Bow nuts DIN 80704 in Brass, Stainless Steel 316L, Galvanized steel and black steel. A full range with gland packing in all kind of fabrics. V-Coil Wire Thread Repair system made bij Voelkel Germany. 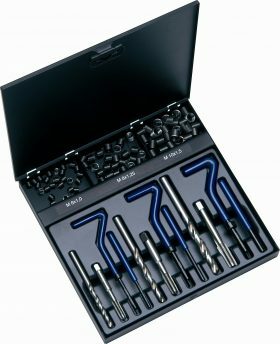 A system for repairing damaged thread by applying high quality thread inserts. V-Coils are available as complete repair set assortments or separate thread sizes. For an overvieuw see the datasheet in the download. Heavy duty chains for general use according to DIN 763, DIN 766, DIN 5686 in steel and stainless steel AISI 316. Long link signal chain in steel epoxied and plastic in colors red/white and yellow/blakc. Bow shackles, D-type shackles, S-hooks, Carabiners, Snap Hooks. Steel wire rope for general use with fibre core, steel wire rope for slings and winches. 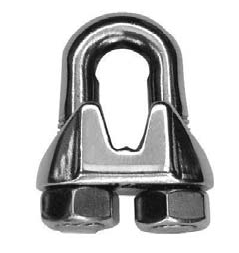 Steel wire rope clips and bulldog clips DIN EN 13411-5, turnbuckles DIN 1480 etc. Weld-on hinges for steel doors and window frames. Available in steel and stainless steel AISI304 and with a grease fitting. Also some dimensions with a spring, closes the door automaticaly.